The Opena is the world’s first iPhone case with a slide out bottle opener. The case itself is made from a durable and protective hard polycarbonate material. 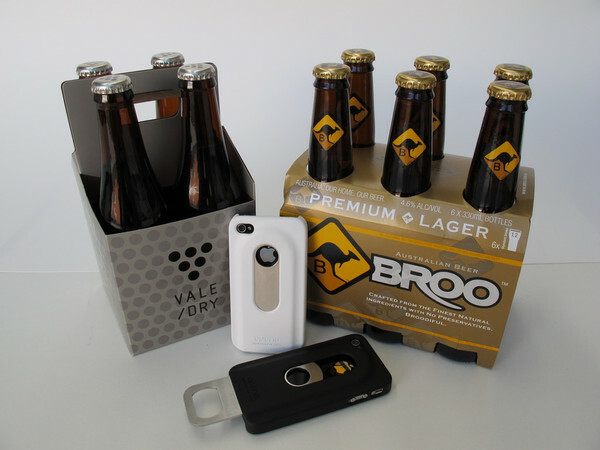 Since the case has a slide out design, you only need to take it out when the beer arrives. The Opena is compatible with all Phone 4 models (GSM & CDMA), including the new iPhone 4S. You can get Opena in two colours: Black or White and it comes with a 1- year warranty at a price of $39.95 AUD. You can grab one at Openacase.com, with free shipping to Canada, US and Australia while worldwide shipping costs an extra $5.00 AUD. With the Opena case your iPhone is fully protected and you will never go thirsty again. The perfect companion for parties, bbq’s and pretty much any situation which requires a bottle opener!